Pretty sure you never considered hugging a Christmas tree. Sounds painful, right? 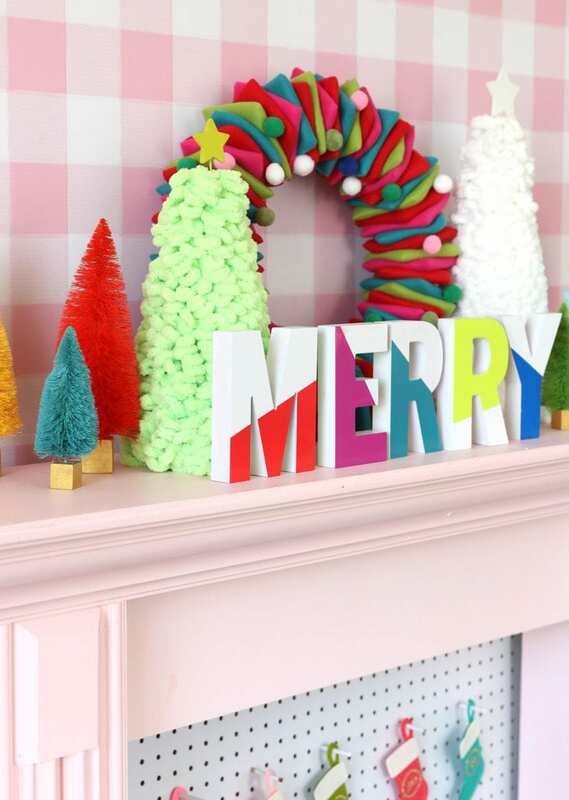 Well all that is about to change because today’s DIY + FB Live tutorial is super simple, super cozy and perfect for your holiday mantel! 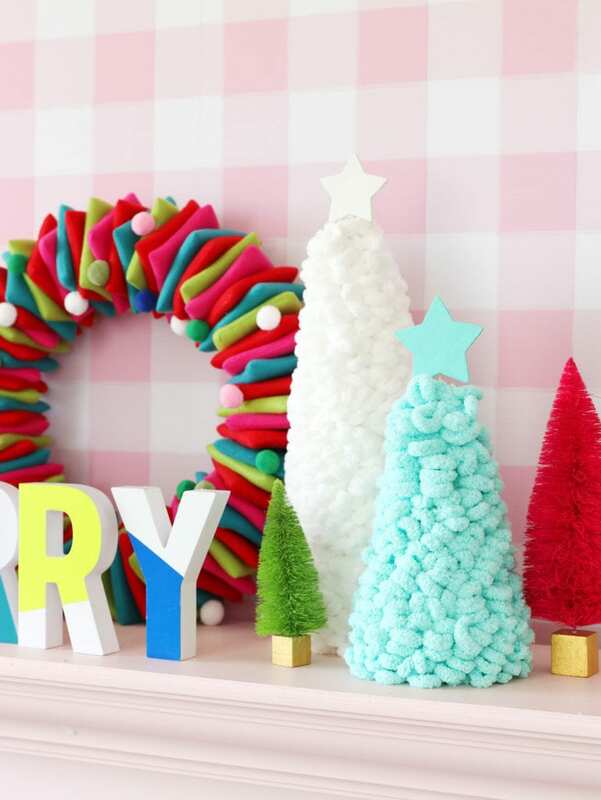 With the help of my go-to crafting store, JOANN, I snagged everything I need to make the cutest, most colorful Christmas trees ever. But instead of reading about it, how about you take a look! Ever wanted to hug a Christmas tree?! Probably not! After this DIY with Damask Love you’ll want to cozy up to your tree like never before. 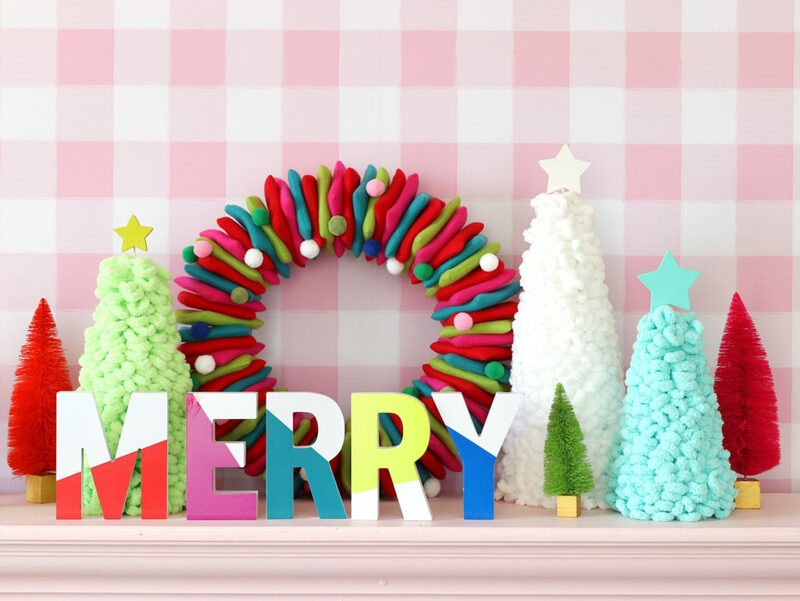 Join us to get crafty and cozy! How easy was that!?! I just love how these turned out and you’ll LOVE how quickly you can customize them with your own selection of Loopity Yarn. It comes in plenty of colors to choose from! So, so cute Amber. 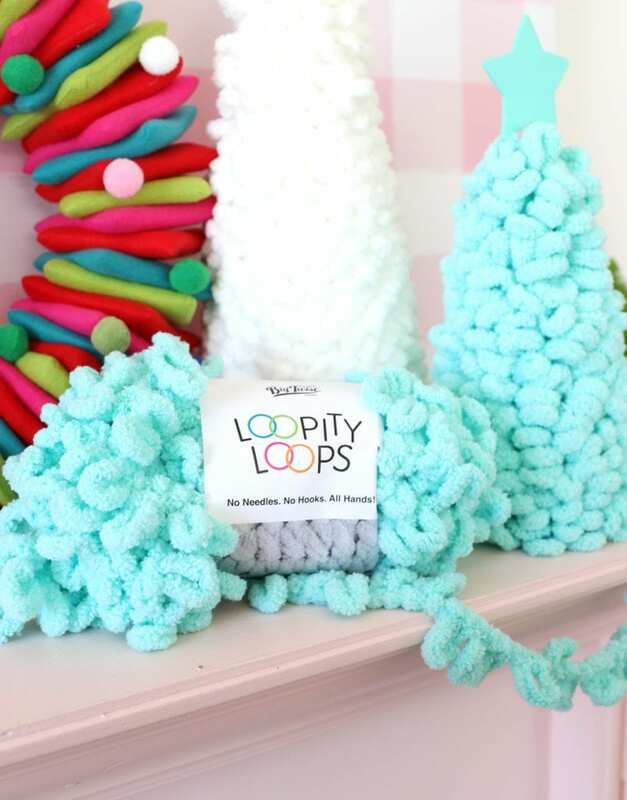 I will definitely be picking up some Loppity Loop yarn for a few holiday projects including a fun giftwrap idea I have. Thanks so much for sharing. Your Christmas trees are so fun and festive! What a great idea! Thanks for the inspiration! I watched this yesterday morning, went to Joann Fabric yesterday afternoon, and this morning have six of these trees ready to give as gifts for my craft group. Thank you for the great idea and tutorial. It really was as quick and easy as you said–and so cute! What about that wreath?! It’s adorable! It’s so easy with this loop yarn 😮 Thank you for sharing the tutorial! Gotta buy it, I guess I can do a lot of things with this loop yarn. If you want to modify your taskbar and don’t know about where is taskbar in windows 10 then you click here and get online tutorial for windows 10. An other nice idea for next christmas : thank you !